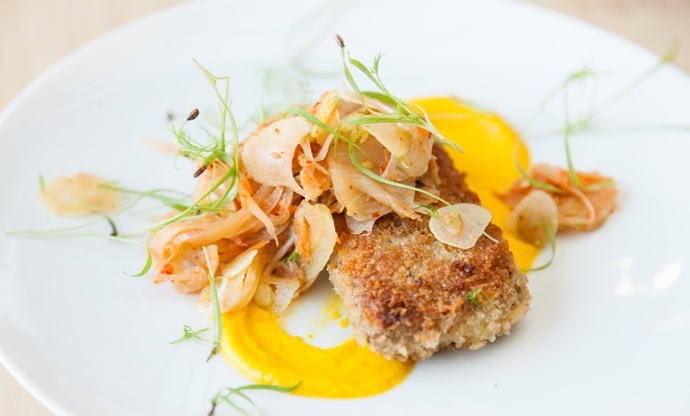 As the lauded chef gets ready to celebrate a decade of cooking at her Modern Pantry restaurant, Marcus Price takes a look at ten recipes that encapsulate what her fusion-forward cooking is all about. Anna’s restaurant The Modern Pantry truly embodies this philosophy, with a discernible plethora of influences from across the world, none more so than her signature dish: a sugar-cured New Caledonian prawn omelette with green chilli, spring onion, coriander and smoked chilli sambal that incorporates an incredible array of cuisines and flavours. 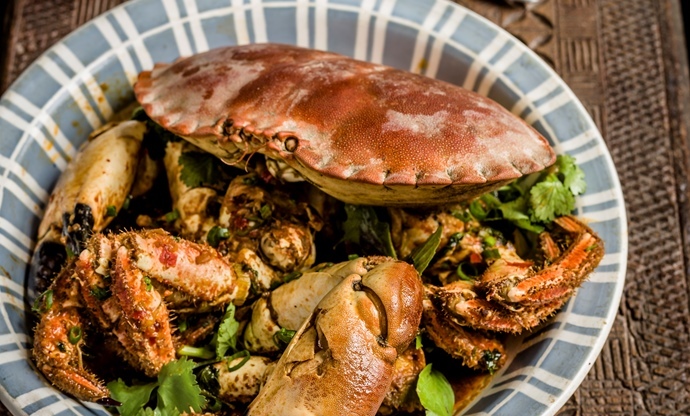 Set in one of Clerkenwell’s Georgian townhouses, the restaurant marries elements of its traditional heritage with a sleek, modern interior to create a calm and unassuming environment. 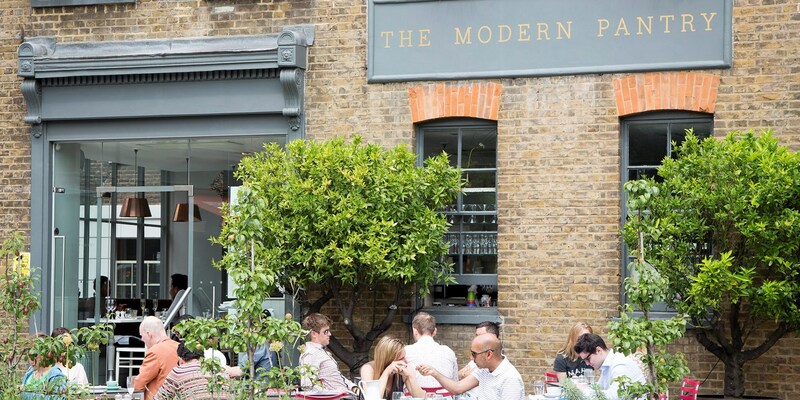 As the restaurant prepares to celebrate its tenth anniversary, it is clear that Anna and her team have found a winning formula. To mark this fantastic achievement, we’ve chosen ten recipes that Anna has shared with us over the years that we believe best represents her inimitable style of cooking. Take a look below for some inspiration for the next time you really want to impress in the kitchen. As part of The Modern Pantry's ten-year celebrations, throughout August diners can choose from a selection of limited-edition dishes created by her fellow chefs, opt for a special anniversary afternoon tea and browse through a range of limited-edition products in her adjoining shop. 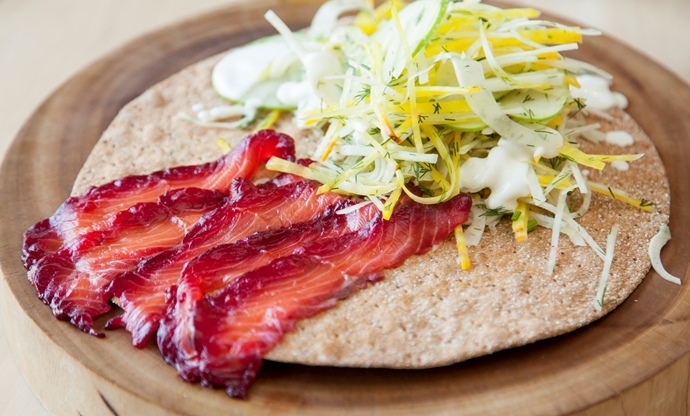 Anna’s distinctive style is exemplified in her stunning beetroot salmon gravlax recipe. The dish features an abundance of flavours; the salmon is cured with a mix of liquorice, beetroot juice and soy, while the slaw combines kohlrabi, beetroot and fennel and is layered with a sharp yuzu dressing. Serve on crispbreads for the perfect dinner party starter. 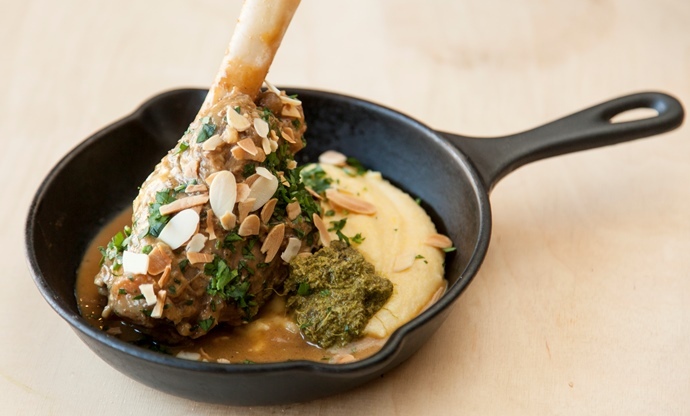 Continue the dinner party with this sumptuous lamb shank with soft polenta and Persian lime pesto. The sumptuous lamb combines perfectly with the lime and parsley pesto, coming together in a cacophony of diverse flavours. Serve with a handful of chopped parsley and a sprinkling of toasted almonds. 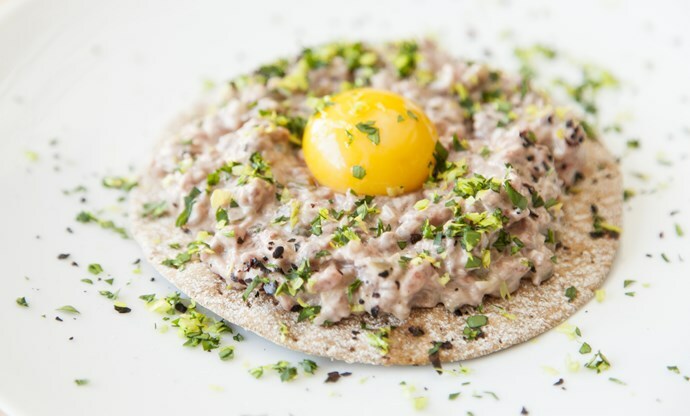 This venison tartare recipe includes an incredible array of distinct flavours, with the venison being paired with umeboshi (pickled Japanese plums), baby capers, anchovy fillets, Worcestershire sauce, Urfa chilli flakes and yuzu juice (among others). Taking fusion cooking to new extremes, this starter is finished off beautifully with a quail’s egg yolk balanced in the centre. Here, Anna showcases her unique twist on scroggin, New Zealand’s take on trail mix. 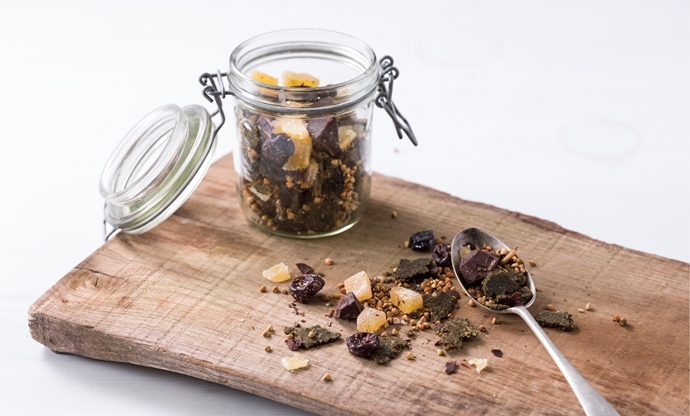 Made by creating a toasted pumpkin seed and nori seaweed butter, it is then dehydrated into a crisp before being combined with a number of delicious ingredients, including crystallised ginger, sour cherries, buckwheat and dark chocolate. Texture must always be taken into consideration when preparing technical and creative dishes, and this main has plenty of contrasting sensory elements. 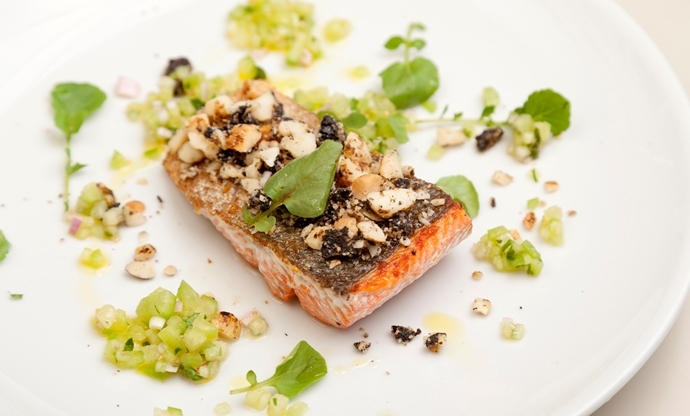 The crunchy mixture of macadamia nuts, black garlic and liquorice is scattered on top of the salmon, while the refreshing tomatillo salsa surrounding it adds a cool, fresh flavour. Lamb neck is an underrated cut that can stand up to other bold flavours. Anna pairs it with a homemade fennel kimchi, as well as a carrot and ginger purée. Marinating the lamb for twenty-four hours is a great way of getting bags of flavour into the meat before you even cook it. For yet another take on lamb, this recipe makes the most of fragrant bahārāt, a Middle Eastern spice blend. 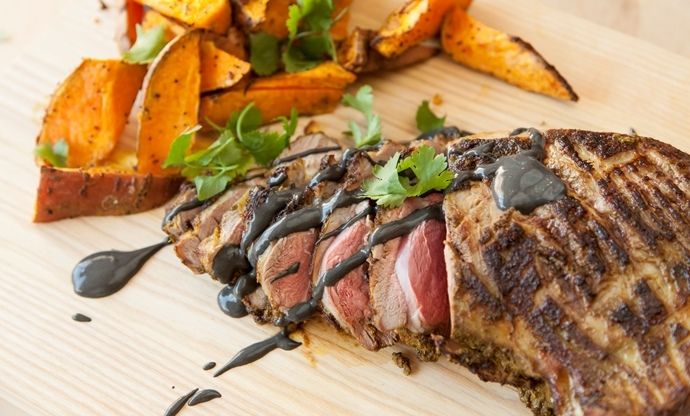 The lamb is rubbed with the spice mix before being seared in a hot griddle pan to create a charred, smoky flavour and then roasted until tender. Serve with sweet potatoes and a striking black sesame sauce for the perfect summer alternative to a Sunday roast. While elegantly simple, this coconut sorbet recipe clearly exhibits Anna’s discerning approach to flavour combinations. 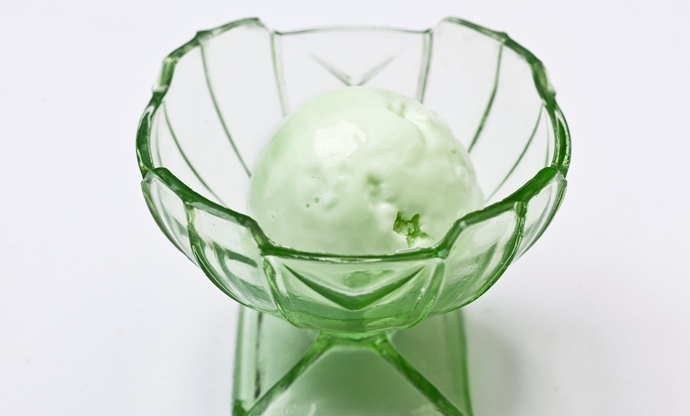 Although pandan essence can prove difficult to find, its fragrant aromatic flavour complements the coconut perfectly. 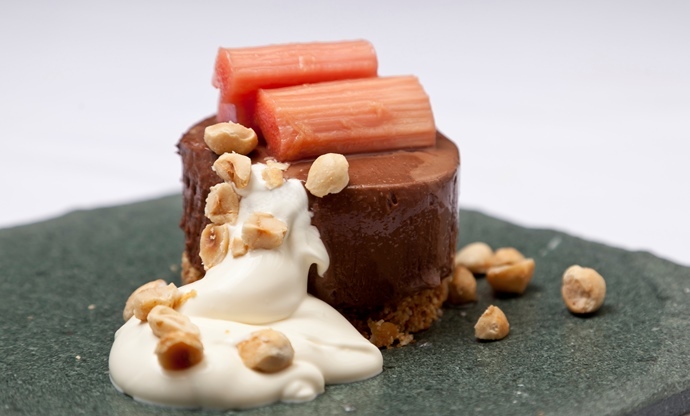 Serve on its own or with a sprinkling of praline on top to round off any meal.